First off, the finished design and name of the new flagship iPhone have already been leaked, with the normal-sized model thought to be called the "iPhone XS," along with a larger "iPhone XS Plus." The biggest confirmed change is that the new iPhone XS models will come in a new Gold color option, complete with a gold stainless steel band, as shown in a render by EverythingApplePro. The upcoming Series 4 Apple Watch was leaked as well, showing a matching gold stainless steel frame. 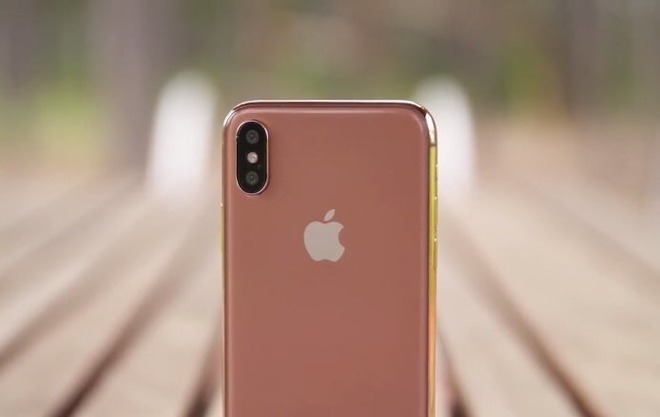 There's also been many rumors showing that there will actually be three iPhones being released, with various leaks showing three front panels for the devices. 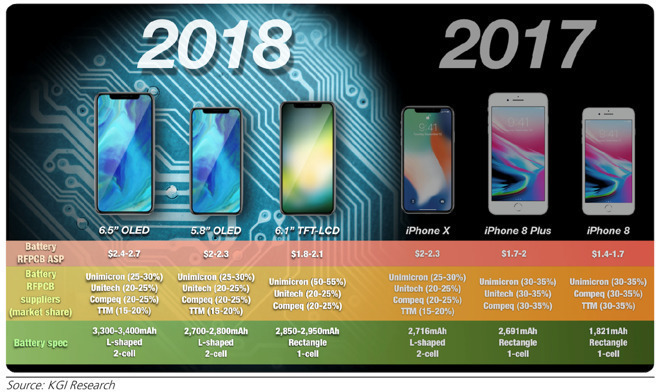 Respected analyst Ming-Chi Kuo has released a chart showing all three new iPhone models and some specs for all of them. Based on his predictions, the budget medium-sized model is rumored to sport an LCD display instead of OLED like the other two. The resolution will be lower as well, but it seems that it will have the same A12 processor. For RAM, it'll be packing 3GB instead of 4GB on the OLED models. 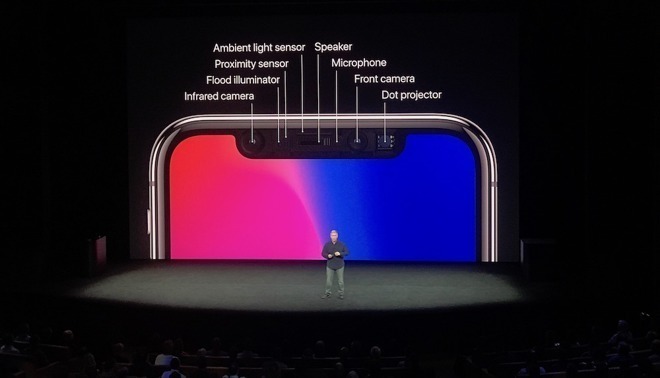 All three will use Face ID for authentication, which is backed up by a supplier report by Lumentum, showing increased orders for TrueDepth camera system modules. 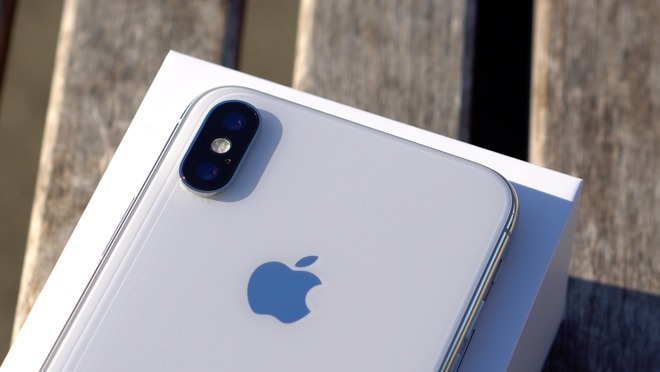 The budget model, rumored to be called the "iPhone 9," will also come with a single 12MP camera, slower Wi-fi tech, an aluminum frame and a smaller battery. Back in May, TSMC began mass production of Apple's 7-nanometer A12 processors. The A11 Bionic processor is built using a 10 nanometer process, so that change should offer a larger performance increase than what we say in those leaked benchmarks. The 6.1" LCD model may also come with a few more color options compared to the 5.8 and 6.5" OLED models. Analytics firm Trendforce believes that we may get Apple Pencil support with the new 2018 iPhone models, but Ming-Chi Kuo says we're not likely to see that happen, and I agree with him. 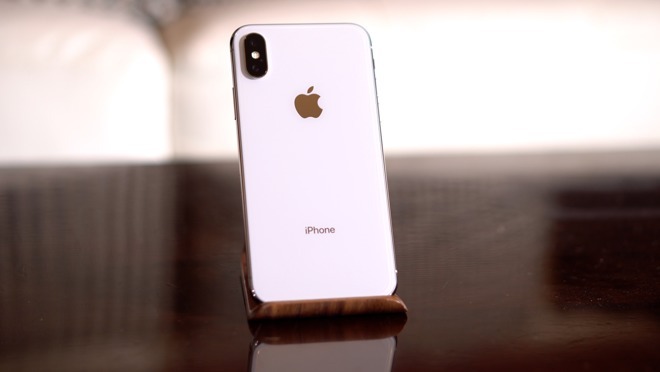 All three 2018 iPhones will definitely have wireless charging, but there's a rumor going around that Apple will be using a new material in the Qi charging coil that will offer faster charging. Based on Apple's lightning to headphone jack adapter supplier Cirrus Logic, analysts don't think Apple will ship those adapters with the 2018 iPhones. 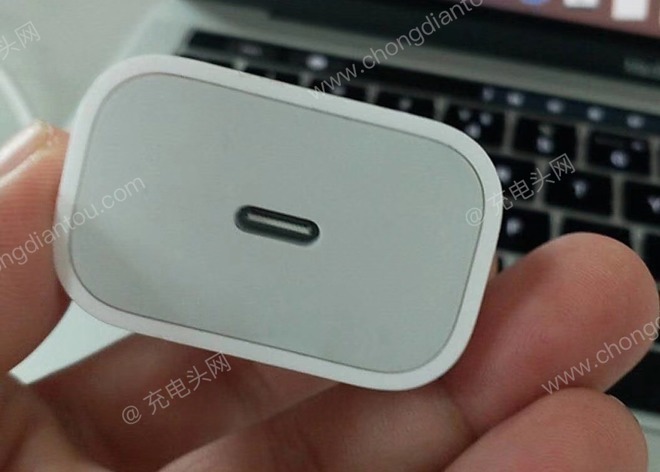 However, the new iPhones may come with an updated 18W USB-C fast-charging adapter, right in the box. 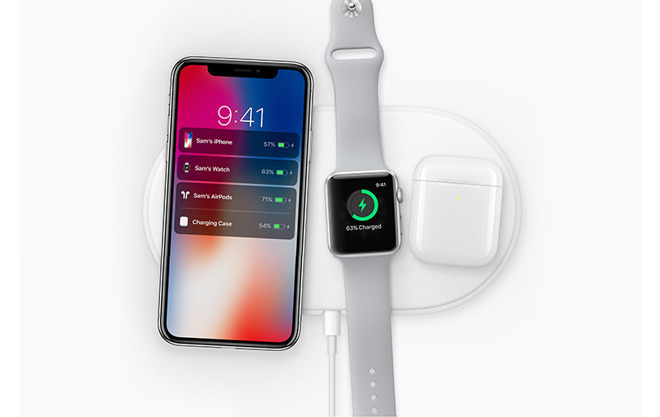 Current iPhones, even the iPhone X, come with an incredibly weak 5W power adapter, so it'll be no surprise if we see an updated fast-charger. 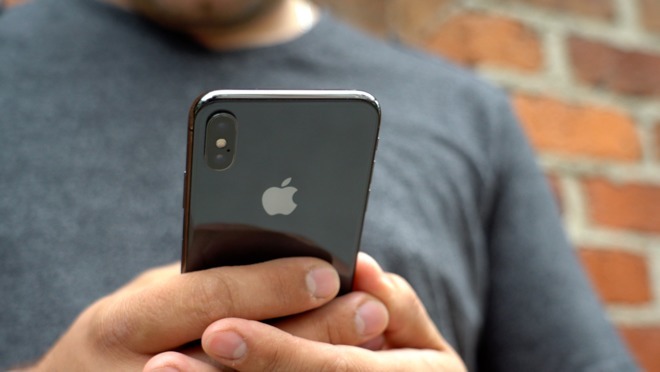 There have been reports of Apple considering making the switch to a new connector, possibly USB-C in the future, but we likely won't see any changes with this years' iPhone lineup. 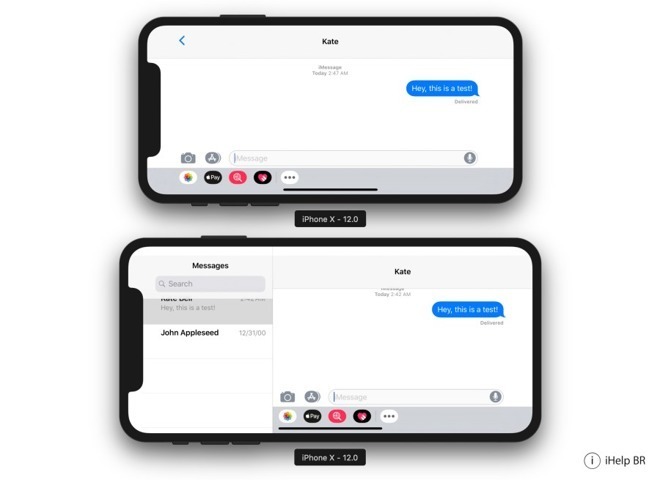 Apple's current iPhone X does not support landscape interfaces, but it's reported that the new 6.5" iPhone X Plus model will support landscape mode. There's also some pretty big changes in iOS 12 that'll fix a lot of issues iPhone X users experienced. For example, many users accidentally took screenshots while the screen was off. iOS 12 will fix this by only allowing them when the phone is awake. iOS 12 will also solve the problem of having to either enter your passcode or turn your display off and on again if your Face ID attempt fails. With iOS 12, simply swipe up again to retry. Another welcome change we've seen in iOS 12 is that you'll now be able to register two different faces that will work with Face ID. This is something I have personally complained about. There were also rumors back in early 2018 that iOS 12 would add horizontal Face ID support. However, that feature has been completely absent from iOS 12 beta, but there's still a chance we could see it happen. 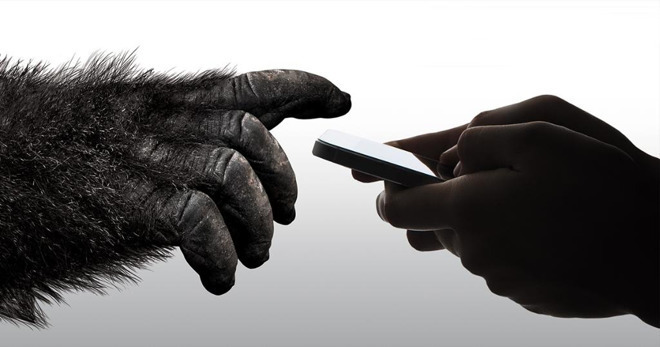 Corning, a longtime Apple supplier, has recently debuted Gorilla Glass 6 that's made out of an entirely new glass composition. Seeing as Apple invested, or awarded, $200 million into Corning last year, we'll most likely see this new glass in the 2018 iPhone lineup. Don't think you can skimp out on a case and screen protector just yet, as it's still glass, a material that can crack and shatter. It's also not a great reason to avoid getting insurance if you're set on getting a new iPhone this September. I cracked the back glass on my iPhone 8 Plus, and it will cost me around $400 out of pocket to repair. 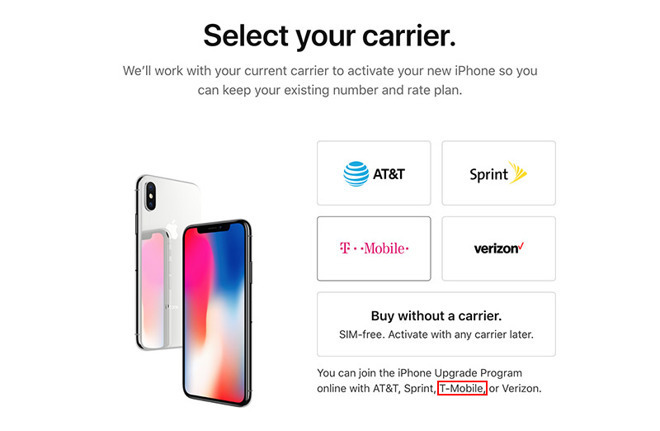 If you're a T-Mobile user, like me, you will now be able to use the iPhone Upgrade Program directly through Apple's website. With all of those rumors out of the way, let's talk about what I'd personally like to see in the new iPhone lineup. Apple's ProMotion display on their 2017 iPad Pro is amazing, as it automatically adjusts the screen refresh rate based on the content you're viewing, from 24hz up to 120hz. 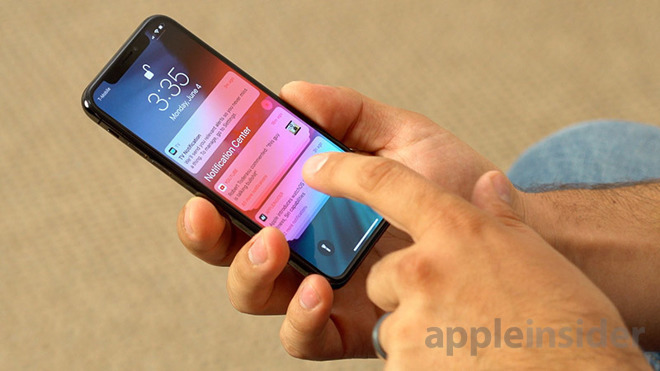 This feature would be a huge incentive on the 2018 OLED iPhone models, but it may be harder than it sounds to add this technology to an OLED display. Whether we'll see it this year or not, Apple will hopefully add it to their iPhone lineup within a couple of years. I'd also like to see large improvements in the camera. The Samsung Galaxy Note 9's camera has already caught up, so I'd like Apple to get ahead of the game in this area. I personally would love to see that rumored new fast charger come standard in the box. I'm sick of the incredibly slow 5W charger. Other than that, I'm hoping for updated Face ID that'll work faster and with more features than before.